2015 Red Novitec Rosso Ferrari California in a tunnel Car desktop wallpaper, Ferrari wallpaper, Ferrari California wallpaper, Novitec Rosso wallpaper, Car wallpaper - Cars no. 50889. 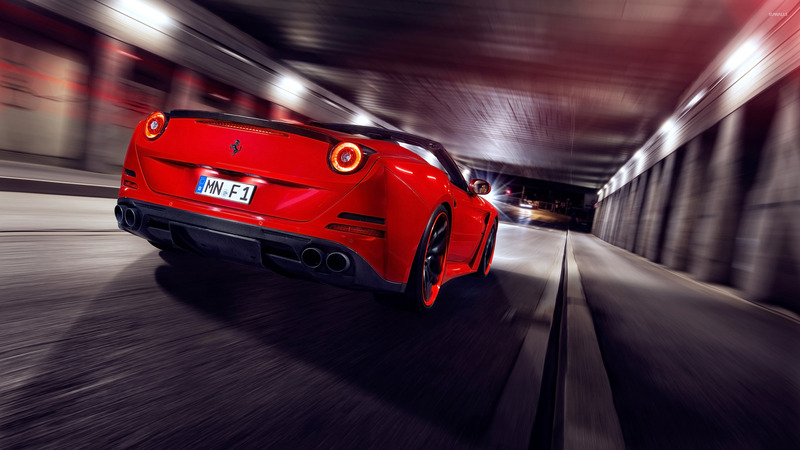 Download this 2015 Red Novitec Rosso Ferrari California in a tunnel Ferrari Ferrari California Novitec Rosso desktop wallpaper in multiple resolutions for free. 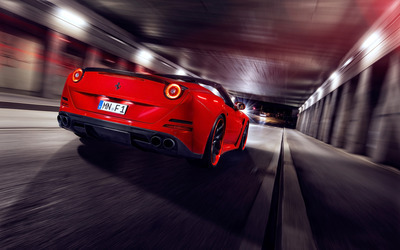 Ferrari S.p.A. is an Italian sports car manufacturer based in Maranello, Italy. Founded by Enzo Ferrari in 1929, as Scuderia Ferrari, the company sponsored drivers and manufactured race cars before moving into production of street-legal vehicles as Ferrari S.p.A. in 1947. Throughout its history, the company has been noted for its continued participation in racing, especially in Formula One, where it has had great success.